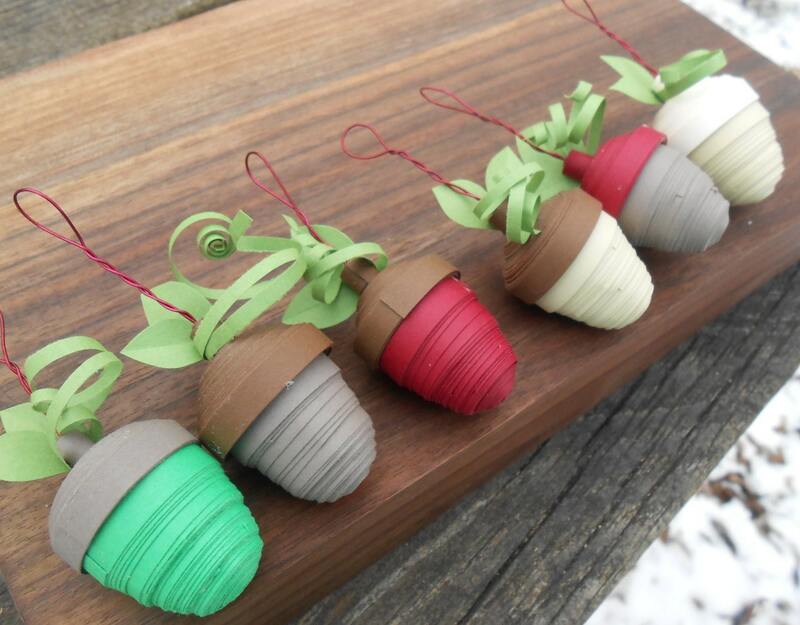 These cute acorns are the perfect gift for anyone! 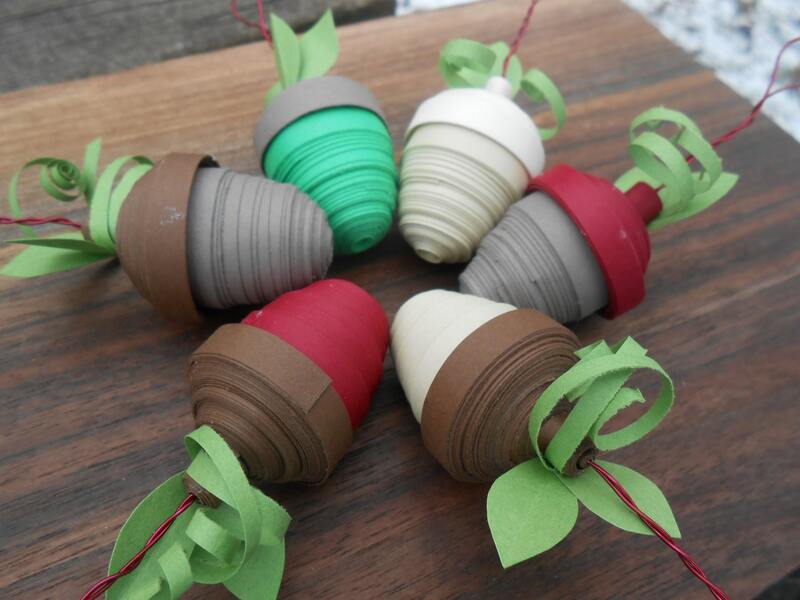 They are handmade from quilled paper. 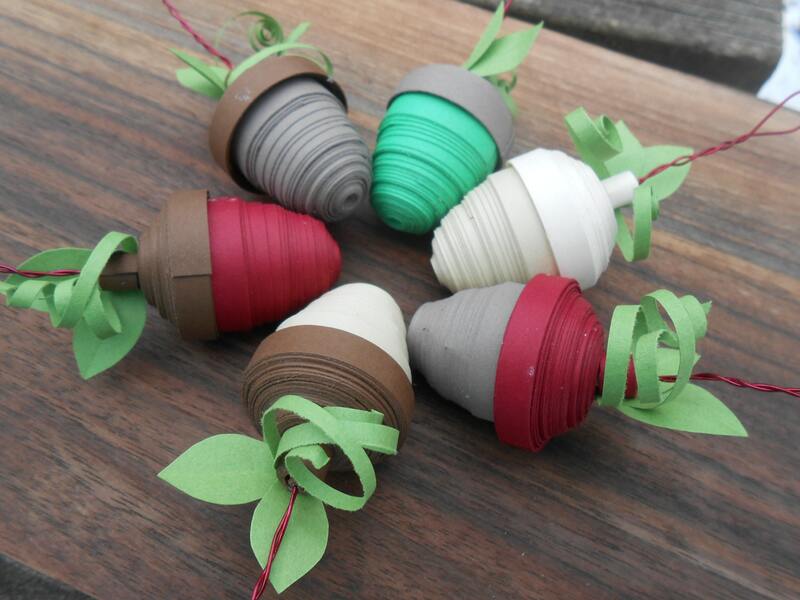 This listing is for a set of SIX acorns, in different shades of browns, ivory, red, and green. 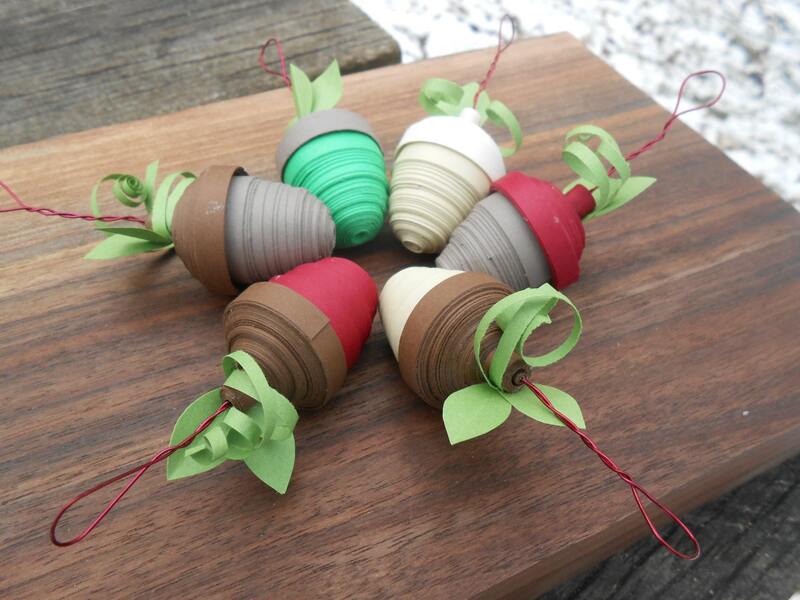 They each have leaves and a stem with red wire coming out the top, so you can hang them on your tree, or anywhere else you want to put them! These are my large size. The acorn part measures about 2" tall. 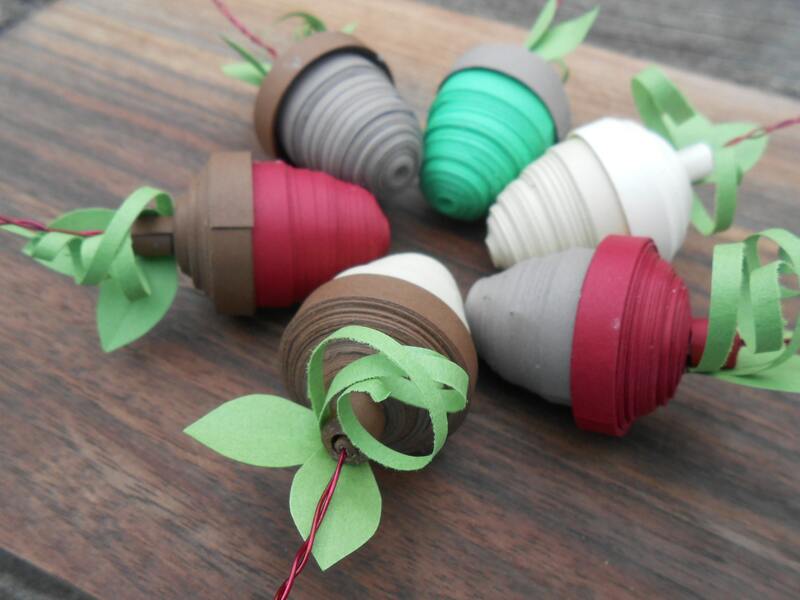 See my store for mini acorns. Quilling involves taking long, very thin pieces of paper and twirling and shaping them. This listing is for FOUR ACORNS. Each acorn measures about 2" (with the stem). SEE my store for quilled elves!